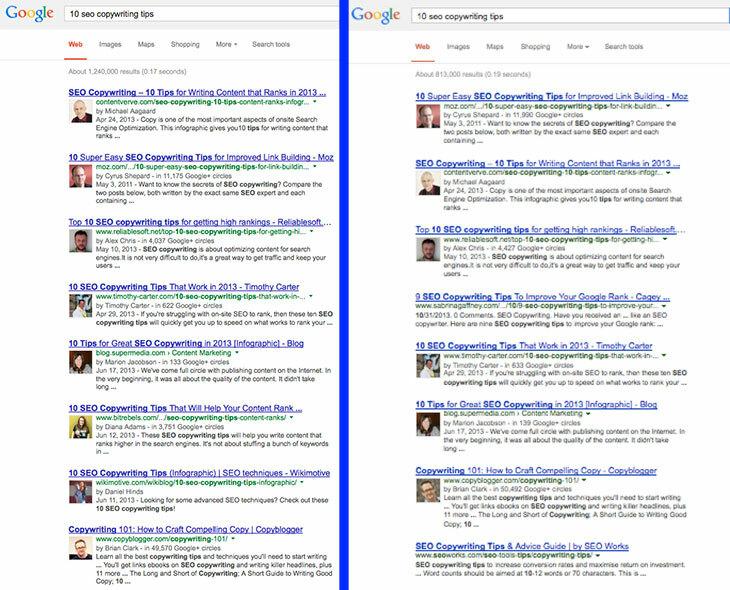 Is Google Removing Authorship Now, As Matt Cutts Said? Yep. Home > Google News > Google SEO > Updated: Did The Authorship Reduction In Google Begin? Yes. Updated: Did The Authorship Reduction In Google Begin? Yes. In October, Matt Cutts of Google at PubCon announced there would likely be a 15% reduction in authorship being displayed in the Google search results. Since then, I haven't seen many - I've seen some - complaints about authorship going away. But now, there seems to be a wave of complaints and reports of reduction. If you check out the MozCast features graph and limit it to authorship, you will see a sharp decline. Keep in mind, this only analyzes about 10,000 queries or so, so it is not all that representative of the whole query base. I have spotted complaints in the Google Webmaster Help forums (that is just one, there are many) and Google+ about reduction in authorship. I've received emails and tweets from people asking me what is going on. I lost my authorship for a long period time and then it came back by itself this year. So is this the reduction of authorship Matt was talking about or just a blip in Google? Update: Matt Cutts has confirmed with me that this indeed did happen. Previous story: Google AdSense Back To Square Arrows?